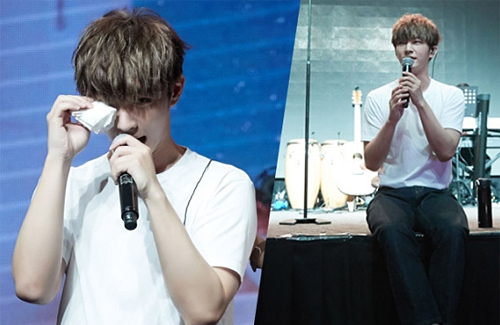 During his 34th birthday event, Aaron Yan (炎亞綸) shared to his fans that at this moment in time, he has not cried so far. However, at the mention of the support he received while experiencing his recent hardships, he couldn’t help but shed tears. Struggling with cheating accusations and the passing of his grandmother, Aaron is immensely thankful of support from his fans, friends and manager.